Damn thats tight! I so want a baf of this in the legends line! Or just a Select figure so it can be one and done. That looks goofy as hell but I guess the Rhino is kind of a goofy character in any incarnation. I don't think this is going to sell well at $70. 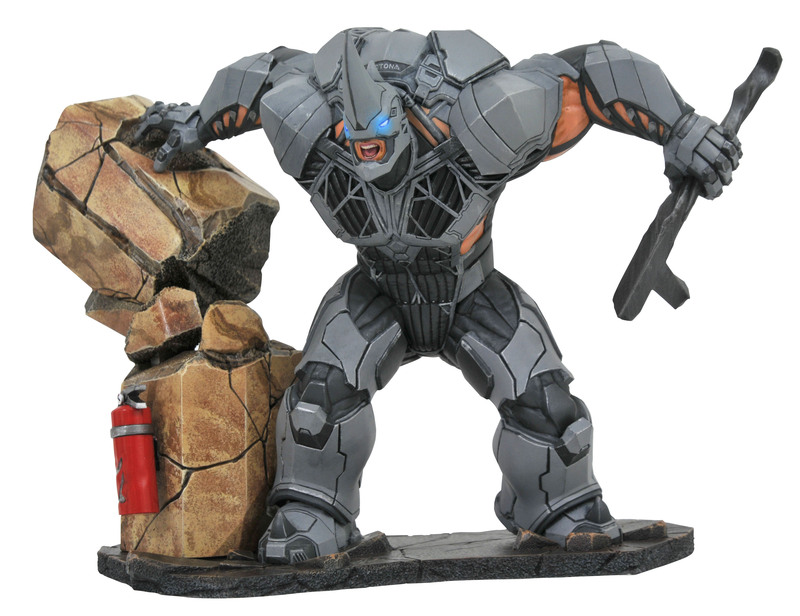 I wouldn't mind having this as I am a huge fan of the game but that's a steep price for a non-articulated statue. Paint application looks good but I'd rather just have a figure. Curious if this is a one-off or if it'll be part of a series. Also, why wouldn't they start this off with a statue of Spider-Man in the game costume instead?